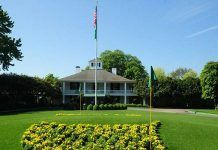 The regular PGA Tour season resumes this week in Charlotte, North Carolina with the Wells Fargo Championship. Last week at the Zurich Classic in New Orleans, there was a different format as a team competition took place. 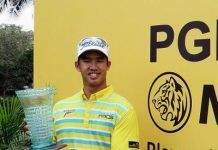 Cameron Smith of Australia and Jonas Blixt of Sweden beat the American duo of Scott Brown and Kevin Kisner. The team concept might be fresh and new, and differentiate the Zurich Classic from other tournaments. However, in many fantasy golf leagues, poolies just had a week off. This week marks the return of world no.1 Dustin Johnson, who will play in his first tournament since winning the World Match Play Golf Championship in Austin, Texas back in March. Johnson missed the Masters last month after slipping down the stairs. However before you think Johnson is a slam dunk to win at Quail Hollow this week, you must realize he might have some inexperience playing on this course. Johnson has not played there since 2011 when he missed the cut. Prior to that he finished 29th in 2010 and missed the cut in 2008. 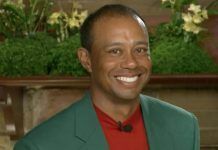 Normally I do not pick golfers in fantasy pools who are coming back from injury. It is just too risky. With Johnson however, it may be a different case. The injury seemed to be minor and happened a month ago. 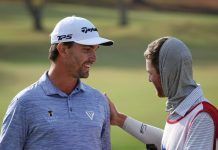 Johnson has now had enough time to recover, is coming back in a tournament that does not have the strongest of fields (but receives a boost with the presence of Johnson) and is a 7.63 point favourite over projected runner-up Adam Scott of Australia. Having a 7.63 point advantage in golf pools where a budget takes place, is like picking a NFL team as a 24 point favourite. Should Johnson be the dominant favourite to win this week? I say no. There are a lot of variables that need to be considered when choosing golfers in fantasy leagues, and a checkmark should not be entered in every box in analyzing Johnson’s play. Johnson is not Tiger Woods or Jack Nicklaus, but is the best golfer on the PGA Tour right now. In fantasy leagues, you simply cannot ignore that statistic.